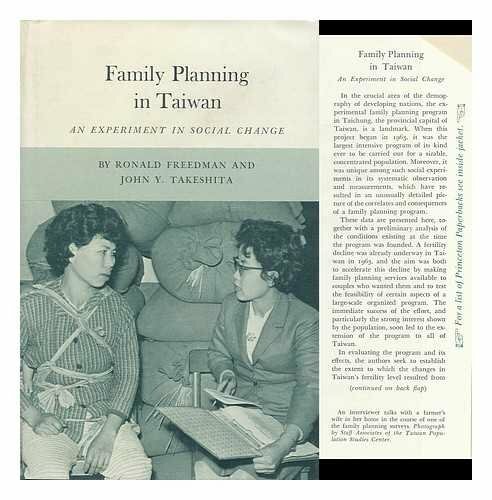 The experimental family planning program begun in 1963 in Taichung, the provincial capital of Taiwan, was the largest intensive program of its kind ever to be carried out for a sizable concentrated population. Its use of systematic observation and measurements was also unique. In evaluating the program and the data gathered, the authors seek to establish the extent to which the decline in Taiwan's fertility level resulted from the program rather than from the changes already underway in the society at that time. Finally, two vital questions occupy them: What has been learned in Taiwan, and how much of this can be applied to other developing countries with rapid population growth?